Brian P. Beck is the President and Chief Financial Officer (CFO) of Wealth Management Group of North America, LLC, a Connecticut based company he co-founded with Daniel J. Friedman in 1995. For the last 20 years the duo has been making complicated financial decisions easier by helping families utilize the Power of True Success™ formula. He is skilled in working with executives, small business owners and medical/dental specialists. Brian is a Certified Private Wealth Advisor® (CPWA®), a designation offered through the Investment Management Consultant Association (IMCA). The CPWA®, in partnership with the University Of Chicago Booth School Of Business, was created specifically for financial advisors who have been working with high net worth individuals ($2-$26 million) for at least 10 years. As of February, 2013, only 608 people in the United States hold the CPWA® certification. 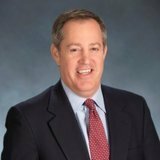 Brian is well known in the local community and won the Hartford Business Journal’s prestigious CFO of the Year Award for the Small Private Company category in 2010. He has been featured in various publications and news outlets, such as The Hartford Courant, The Hartford Business Journal, Parent Magazine, Fortune Small Business, as well as NBC Channel 30. Brian was born in Bloomfield, CT, graduated from Bloomfield High School and continues to give back to the school with the annual scholarship the “Alan L. Beck Award,” presented to the top academic athlete. After high school, Brian graduated from Emory University with a Bachelor of Business Administration (BBA) focusing in marketing and finance. While at Emory, he was credited with reviving the Emory University Baseball Team, which had been defunct since 1950. In 2008, Brian helped establish The Emory University Baseball Alumni Association, for which he serves as a Board Member. Brian also supports the University of Hartford, serving as a member of their Athletic Development Committee and sponsors the “Alan L. Beck Award” which is given to an outstanding student-athlete on the baseball team. He currently resides in Boca Raton, FL with his wife, Noa, and their daughters, Orli and Ariel. Brian’s love for sports canvasses the walls of his office, where he has an exclusive and very private collection of sports memorabilia hanging. Some of the mementos include his Boston Celtic Ball Boy Jersey, which he proudly wore from 1980-1985, contracts drawn up by Brian’s father for Joe DiMaggio and Reggie Jackson, and a multitude of autographs.